1 A bottle of blood saved my life. Was it yours? 2 My son is back home because you donated Blood. 3 Ma is coming back home because you gave Blood. 4 Blood donation is a friendly gesture. 5 Blood owners should be Blood Donors. 6 Blood is meant for circulation. Donate Blood. 7 Blood Donors bring Sunshine. 8 Keep Blood Bank shelves full. You may need Blood someday. 9 Someone is needing Blood somewhere. 10 Life of some patients is resting on a fraction of hope in quest of your gift of love. 11. A life in the surgeon’s hand may be yours. Donate Blood for tomorrow. 12. Observe your birthday by donating Blood. 13. Wouldn’t you have given blood if this child was yours? 14. Donate Blood – Gift life. 15. Give mankind the greatest gift. Donate blood when Blood Bank comes to your place. 16. A few drops of your Blood can help a life to bloom. 17. At 18 you grow up. At 18 you drive. At 18 you give Blood to keep someone alive. 18. Give the gift that keeps on living. Donate Blood. 19. We need you to save life. 20. You don’t have to have a medical degree to save a life. Just a fair degree of humanity. Give Blood. Save Life. 21. Blessed are the young who can Donate Blood. 22. Blood donation will cost you nothing but it will save a life ! 23. Patients need your gift of love to fight against mortal sickness. 24. Your donation of Blood today may be an investment for your future. 25. Share blood – Share life. 26. It is a joy to give Blood. 27. Tears of a mother cannot save her Child. But your Blood can. 28. Be a Blood Donor and save a life. 29. Donation of Blood means a few minutes to you but a lifetime for somebody else. 30. People can get along without teeth or hair but not without Blood. 31. Donation of Blood is harmless and safe. 32. Safe Blood starts with me. 33. You can Donate Blood 168 times between the age of 18 - 60 years. 34. Your refusal to Donate Blood may cost a life of your near and dear one. 35. A life is waiting for a bag of Blood from you. 36. Remember, today you can give your blood. Tomorrow your near and dear one may need it. 37. Every tomorrow needs a blood donor today. 38. Many things in this world can wait but transfusion of Blood to a dying patient cannot. 39. Calling Blood Donors to save life. Can you hear? 40. Give a gift of love. Your own Blood. 41. Vote for life with your Blood. 42. Be a Life Guard. 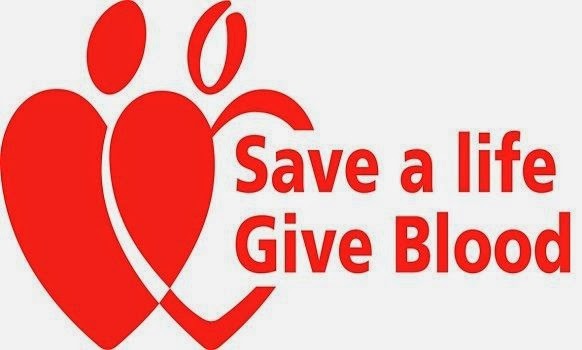 Give Blood to save life. 44. Give the gift of Blood, the gift of life. 45. For every 1000 who can Donate Blood only four do! What about you! Give Blood and gift a life. 46. Blood is meant to circulate. Pass it around. 47. 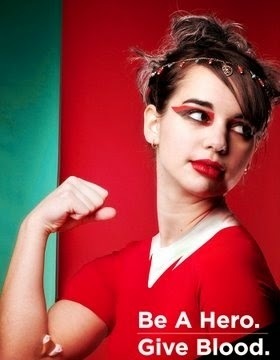 If blood bank gives blood only to the blood donors, what would be the chance of those who depend on you? 48. Five minutes of your time + 350 ml. 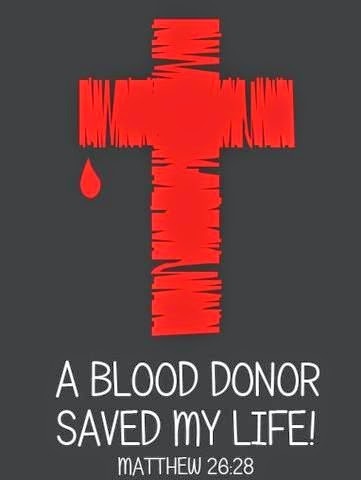 of your blood = One life saved. 49. I am a blood donor. Are you too ? 50. The finest gesture one can make is to save life by donating blood. 51. 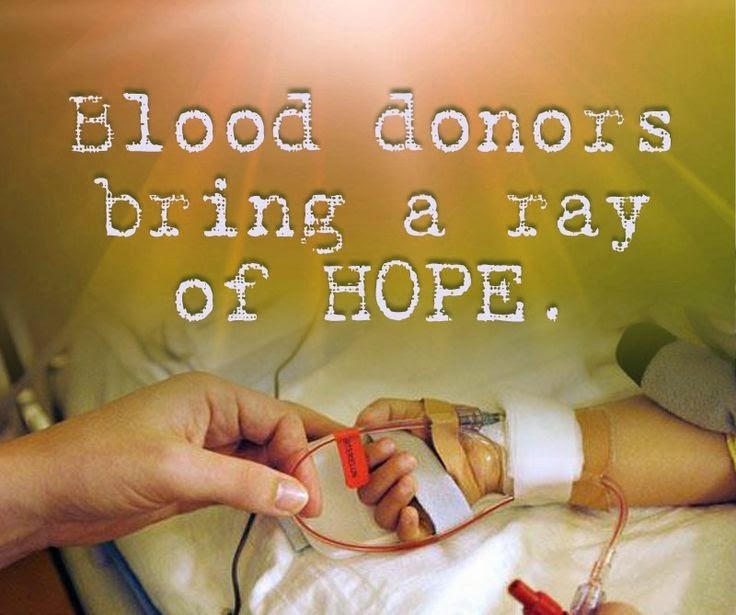 Blood donors bring a ray of hope. 52. Blood for human comes from human beings only. 53. Blood Bank cannot get Blood from stone. 54. Blood Donation would not hurt you, but it would save a life. 55. Thank you, Blood Donor. 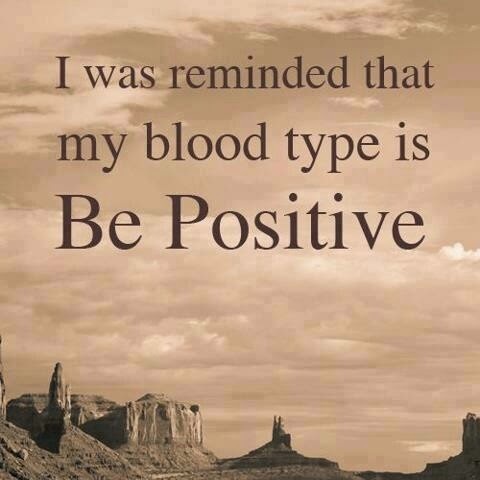 Be a regular Blood Donor. 56. Blood has no substitute as yet. 57. Anybody having a heart to respond can donate blood to save life. 58. Blood donation – a Gift of Love. 59. Do not shed blood. Donate Blood. 60. You can be a life saver without knowing swimming. 61. Have a heart. Give Blood. 62. Donate Blood so that others may live. 63. Donation of Blood makes a difference between life and death. 64. It is time to roll up your sleeve to offer your gift of love. 66. You too can have the joy of saving a man’s life by donating Blood. 67. Do you have a blood donor friend to stand by you in time of your need? 68. You too can take up the job of saving a life by just donating your blood. 69. Do you make friendship with Blood Donors? 70. Let us be blood brothers. 71. Let Blood bind us together in friendship for ever. 72. The colour of human blood is red all over the world. Anywhere you can donate your Blood. 73. It’s time to go to Blood Donation Camp. 75. The blood is red gold in time of saving a life. 76. Blessed are the young who can give back life with their blood — Donate Blood, save a life. 77. To the young and healthy it’s no loss. To sick it’s hope of life. Donate Blood to give back life. 78. 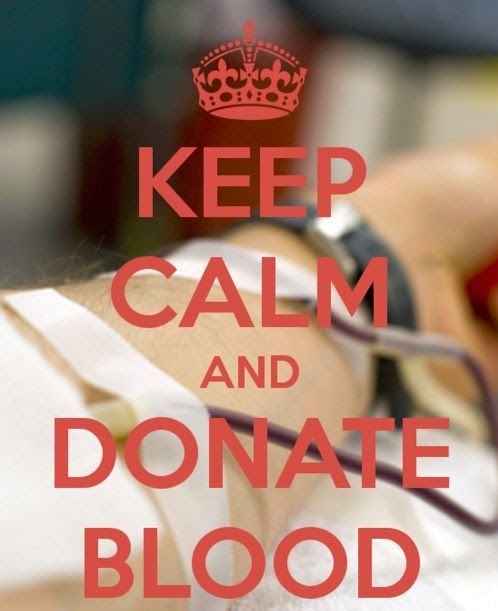 Donate blood to save the dying. 79 Care, share and live by donating Blood. 80. Among flowers — the Rose. 81. 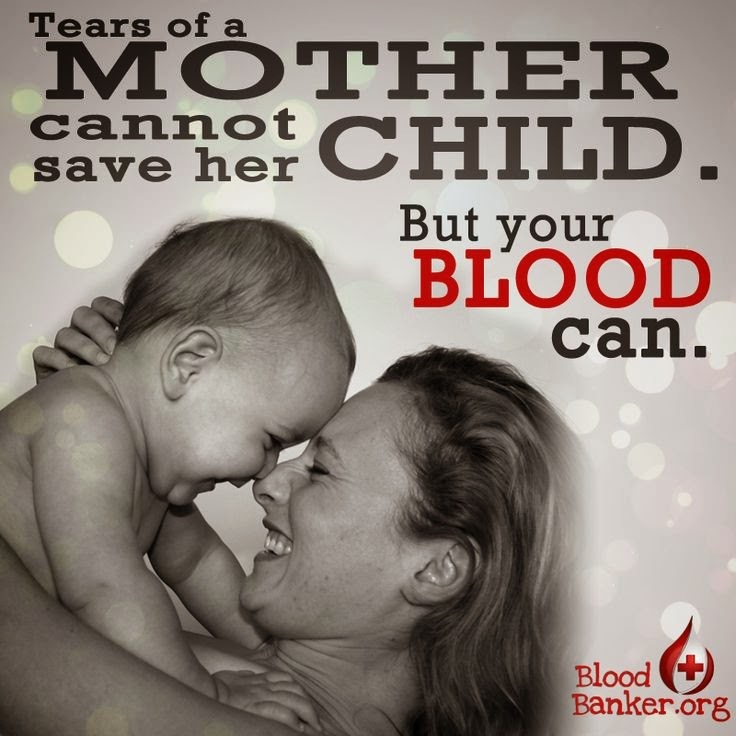 Share the joy of life, give the life of a child by donating Blood. 82. I am proud, there is blood donor in my family. 83. The Blood Donor of today may be recipient of tomorrow. 84. Voluntary Blood Donors are the key to safe blood. 85. Many people pray for mountains to be moved when all they need is to climb. Donate Blood for your near and dear one. 86. Excuses never save a life. Blood donation does. 87. Smile and give, some one will smile and live. 88. 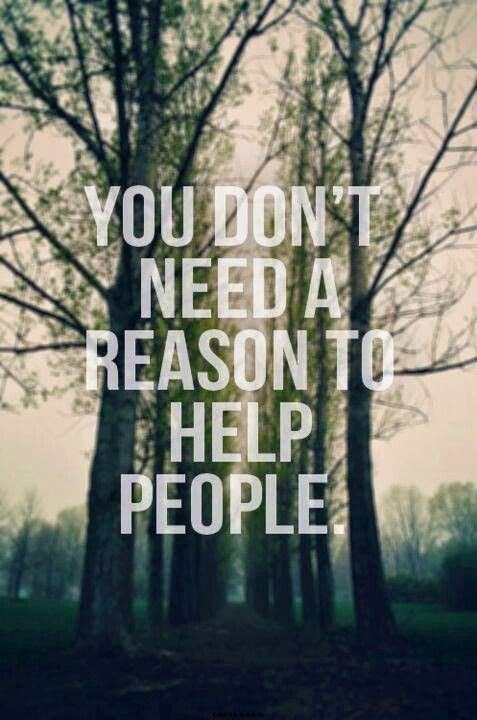 Someone lives when someone gives. There is no substitute of human Blood. 89. 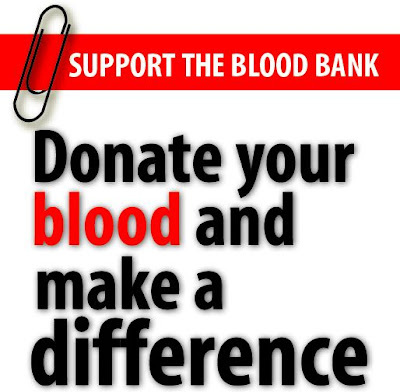 The finest gesture one can make is to save life by donating Blood. 90. Drive carefully — otherwise you might need me — I am a Blood Donor. 91. Share the happiness of glory. There is a feeling of joy when you give the gift of Blood. 92. It will cost you nothing-it will save a life! 93. Don't be Blood thirsty: share some of it with others. 94. When anyone signs a blood donor form, he is signing a lease of life for someone else. 95. Your Blood is worth bottling! 96. You take holidays-the Blood Bank doesn't. 97. To give blood you need neither extra strength nor extra food. 98. It's a joy to give Blood. 99. 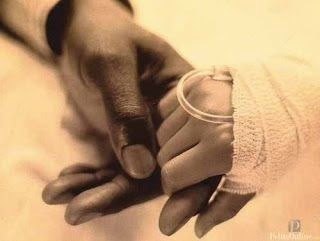 A life may depend on a gesture from you. a bottle of Blood.